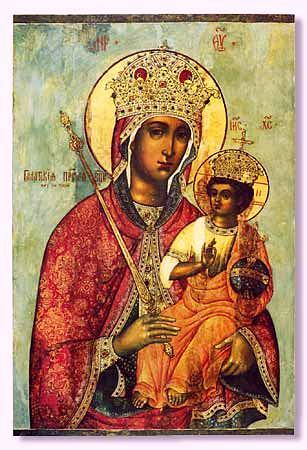 The Galatian Icon of the Mother of God is situated in Galata (one of the districts of Constantinople), at Pergia (in a tower). In honour of the holy icon a monastery was formed, which existed until the XVII Century. An exact copy of the image is located in Moscow, in the Church of Sainted Tikhon, at the Arbat Gate.